A record number of cyclists have entered this years women’s road race, the Cheshire Classic, one of the longest standing events on British Cycling’s National Road Race calendar. Over 120 riders are set to race the 10 laps of the 7.7km circuit near Northwich, Cheshire on Sunday April 28, with £1,000 prize money on offer. 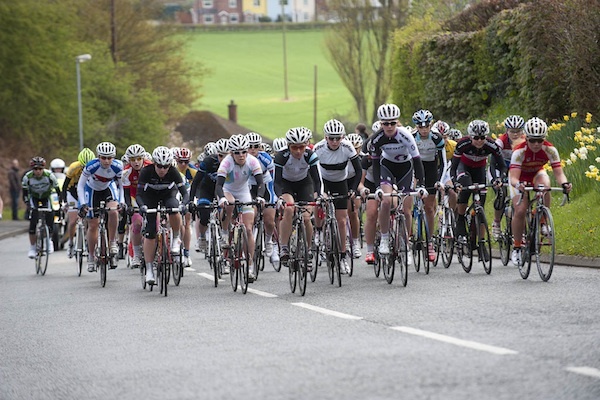 Organised by Weaver Valley CC, the event has already hosted some of Britain’s best known female cyclists. Dame Sarah Storey won the race last year, while Lizzie Armistead, Mandy Jones, Lucy Garner and Nicole Cooke are all previous winners. As well as adding a host of new sponsors to the event, this year’s race also sees two new prize competitions up for grabs, alongside the Delamere Dairy intermediate sprint: the Epic Cycles team prize and De Vere Venues most competitive rider. Young mountain bikers are set to line up against the adults at this year’s Highland Perthshire Enduro, after popular demand led to the age limit being reduced to 14+ for the May 4 event. Riders aged 14 and 15 can now enter the 49km, mountain cross-country stage race which takes in the best climbs and descents of the valley, on off-road routes around Dunkeld. The event will kick-off the week long Highland Perthshire Cycling Festival, taking place all week from May 4 to May 11 2013. Anyone looking to enter can visit No Fuss Events to apply for a place. What was the first ride that Russell Downing went on after finishing his first Paris-Roubaix last Sunday? He went down to the shops on his BMX bike. “I think the tyre pressure in the BMX must have been the same as I had at the weekend!” he said. Downing, who rides a Raleigh Ultra Burner in black and gold, isn’t the only pro cyclist to own a BMX to get around town. Movistar’s Alex Dowsett recently told CW he bought one in “matt grey with a bit of red” this winter for £100. Olympic BMX riders Shanaze Reade and Liam Phillips, will compete for Team GB at the BMX Supercross World Cup, taking place at Manchester’s National Cycling Centre on April 19 and 20. 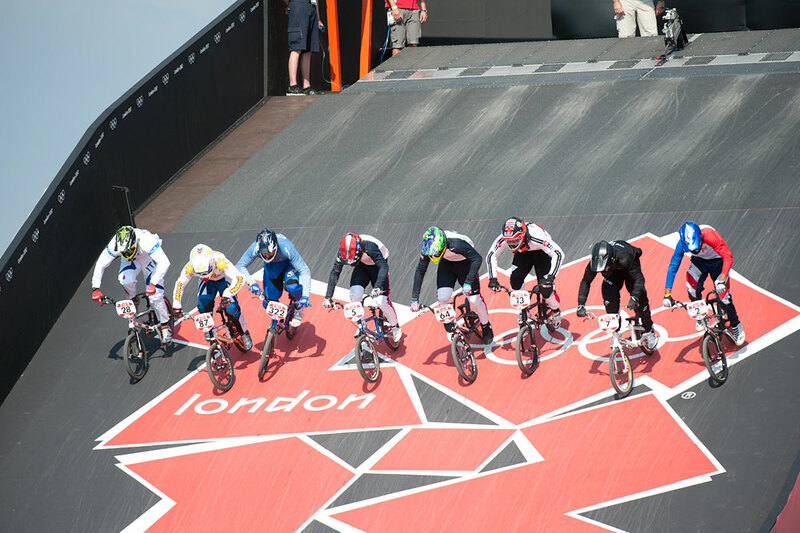 British Cycling has confirmed the riders that will compete for Team GB at their home event, with all of British Cycling’s BMX Academy riders set to join Reade and Phillips. Quillan Isidor, the current Under 16 Junior World Champion, has also been selected to race for GB. The World Cup, which is taking place in Manchester for the first time, sees riders race down an 8m high ramp and compete across five time trial and elimination events. The first night of the Tuesday series at Hillingdon on April 9 saw a 20% increase in riders compared to the first night in 2012, raising hopes that registration for the series may reach 400 by the end of the year. In the series, cyclists are able to compete in two races, one for E/1/2/3 and another for 3/4 category riders, with three cash prizes on offer. Third category riders can compete in either the main race, or choose to ride in the lower race that is mainly for fourth category cyclists, although there are no ranking points awarded with the prize money. New photo-finish equipment has also been brought in to help improve judging the results. Organiser BC West Thames Promotions (BCWTP) is also due to launch a youth series in May.